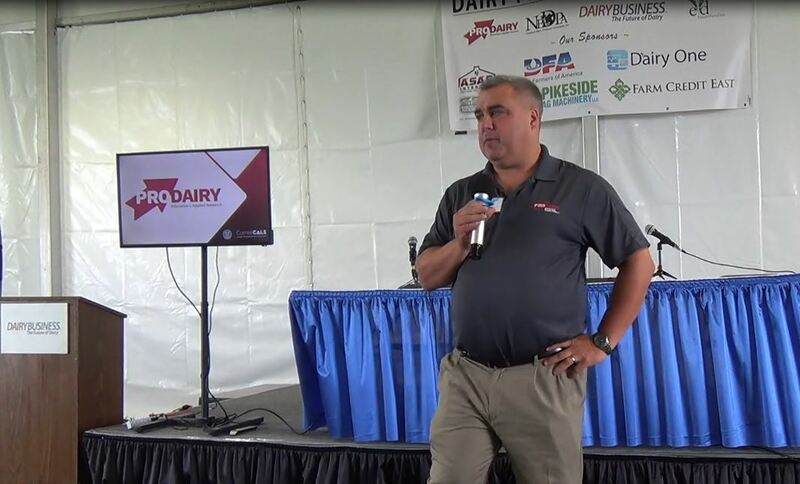 Continuing management and business innovation is the story at Ar-Joy Farm near Cochranville in Lancaster County, Pennsylvania, where Duane and Marilyn Hershey work with their 800-plus milking animals and farm 600 acres. It was more than 30 years ago when this couple took over the farm from Duane’s parents, gradually expanding the registered Holstein herd, facilities and acreage. Five years ago, snow collapsed the dairy barn, so a new 600-freestall barn was built, while the herd is milked in a double-12 parlor. Just this fall, a 300+ kilowatt digester was brought on line to handle not only the manure here but also to take in local food waste, another revenue opportunity. Bedding was changed from sand to the separated solids from the digester. Of course the power generated greatly reduces the farm’s utility bills. Calves are raised with automated group feeding and the herd sustains a less than one percent loss. The feeding program is built around high-quality silage from all BMR corn. In another complimentary business, the Hersheys partner with two other dairy farms to haul their own milk. The current herd average is right at 28,000 lbs. milk on 3X. There are 15 employees working with the Hersheys, along with Marilyn’s dad, Mast, still active at age 89. Both Duane and Marilyn are active locally and nationally. Marilyn was recognized at Dairy Expo this year as the Dairy Woman of the Year. 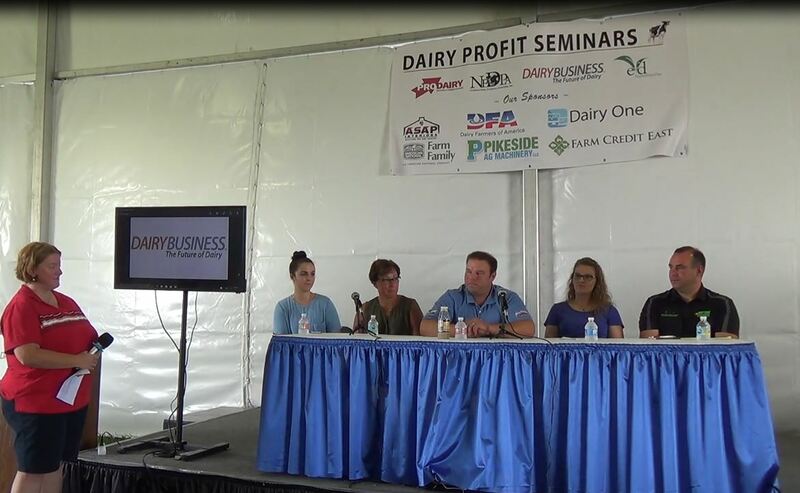 She is vice-chair of Dairy Management, Inc., is secretary of the Mid-Atlantic Dairy Association speakers bureau and serves on the National Dairy Promotion and Research Board. She writes a popular column in a leading dairy magazine and when her son, Robert, was battling leukemia she wrote a book to help families around the world deal with childhood cancer. 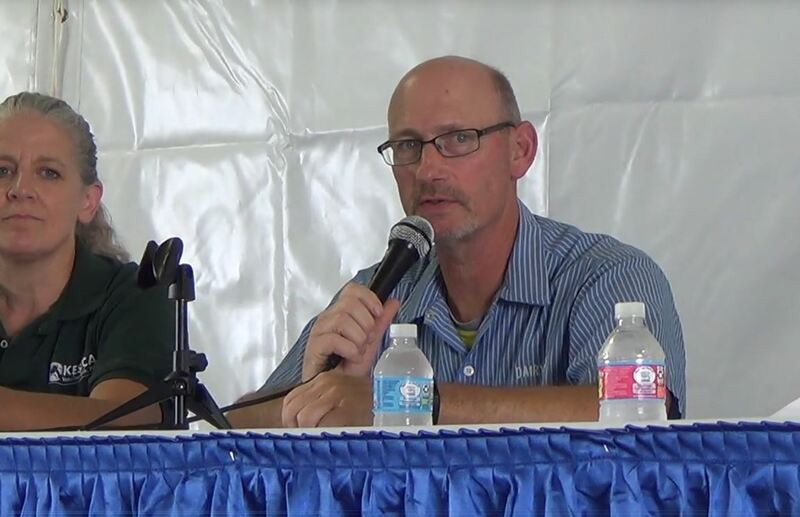 Duane has been active in local organizations and currently is serving on the Land O’ Lakes Cooperative national board. The Hersheys have four adult children, Stephen, Kelby, Robert and Kacie and a grandchild with another due soon. It is often said that a well-managed commercial scale dairy farming operation makes a great home for a Registered Holstein breeding program. 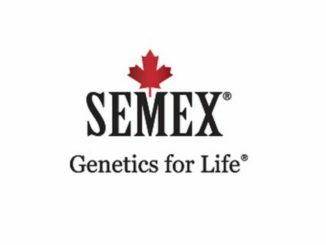 Today the breeding program is built around using pre-release top genomic bulls working with Semex and Select Sires, genomic testing, flushing elite females, IVF on the high genomic calves, selling high end animals and making careful purchases. All the calves are raised and excess fresh cows are sold, some 70 head per year. This year, two loads went to Canada. A current favorite young cow is Seagull-Bay Alexa One-ET (VG-88) with two outstanding young records… almost 1200 lbs. of at 2y3m and a second lactation at 3y9m 305d 33,030 milk 3.9% 1296 fat 3.1% 1038 protein. Sired by Numero Uno and out of a VG-88, 1300-lb. fat Dorcy with the Pine Tree prefix, she is 2374 GTPI with milking daughters by Monterey, Kingboy, Missouri, Yoder, Deyja and Damaris. She has yearling daughters by Chinchi and Modesty, and those two have been flushed to Fortune, Reason, Jared and Flyer. 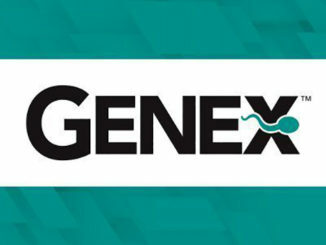 The Chinchi is flushed to Juicy for bulls to Genex and to Reason for an embryo contract to Japan. And she has sons at Semex, Genex and ABS by Modesty and Damaris. A milking Damaris out of Alexa is GP-83, 2y at 2545 GTPI and has a yearling and calves by Modesty and Bandaras with two sons sold to ABS and Germany. Strategic purchases this year include a +2800 GTPI Jedi in the Pa Convention Sale and an Imax daughter in the NY Breeders Sale at Cornell last month. On the sales side, a DB Charley June heifer with +2759 GTPI out of a Damaris dam sold in the World Classic at Dairy Expo for $14,500 to Cranehill Genetics, Hilmar, Calif. Embryo sales continue to France and Germany and to Genelite and bulls are contracted to Semex, Select and Genex.